I’ve been stalking this house since the late 80s. Took a wrong turn once and there it was. Ever since, I’ve been waiting for it to come on the market. Last year, we finally found our dream house, a gorgeous Mid-Century Modern, albeit, not a Hershey house, so we are done looking. But it’s great to finally see photos of the inside of this home. The outside may be the best looking house in Rochester – heck, the whole Northeast! And… It is sold! 4 days on the market and it may have gone in one. We are the newest and most fortunate buyers of 230 Hibiscus! We moved to Rochester from a lovely home on 32 acres in Lyons NY. As soon as we began looking at homes we told our great realtor, Rita Freling, that we loved Don Hershey homes. She found us this gem and we are looking at enhancing it’s lovely design with updates. We feel soooo lucky to now be able to live in the spacious and expansive home. We have some original drafts of the home and wondered if a Don Hershey club would like them? We are still working hard on renovations. We would love any visitors at anytime. I have photos of Dr. Alfed Spage, his wife Elaine and his children, Debbie and Randy, who hired Don to build 230 Hibiscus. It might be nice to have that on the website. Randy said he has a photo of his family featured in upstate magazine. Maybe we can get a copy of that as well for the site. They have been so very kind to us as we begin our life again in this lovely home. We will post images of the renovations when we finish. Thanks for the update. We’d love to see the drafts of your home and your renovations. The photos of the Spages and the Upstate Magazine article would be great to scan and add to the site. And it would be wonderful to meet you and see your home. If you have a gathering down the line at some point, would you consider inviting those that live in MCM homes that weren’t designed by Don Hershey? 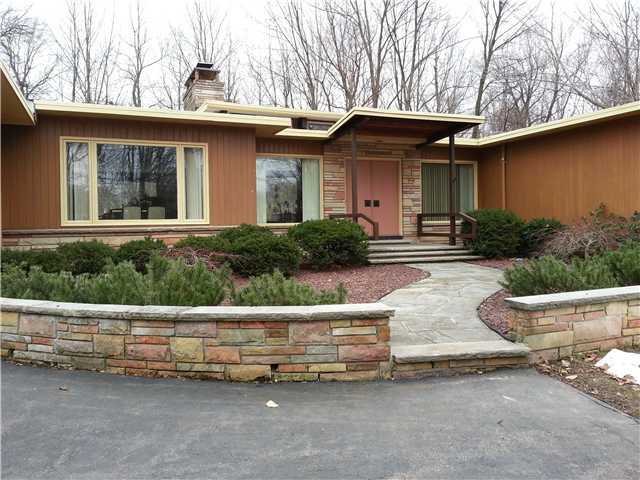 We live in a pretty spectacular Mid-Century home–we believe it was designed by a different period architect other than Don Hershey–but it looks just like a Don Hershey. We are right near other Don Hershey homes in Penfield (the ones on Panorama, Dogwood, and Clark Road) We need an MCM community in Rochester. You can see our home at http://www.modchester.blogspot.com. 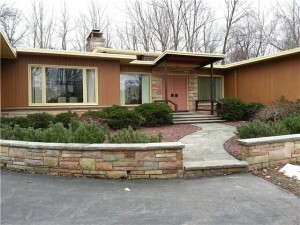 An MCM community in Rochester is a great idea. Your house looks very cool. I enjoyed reading about the improvements you’ve made. If you find out who the architect is please let me know. I have added your site as a link. Would you mind adding ours? i am selling my hershey home can the administrator of this site contact me so i can forward info. would like to post pictures on this site.